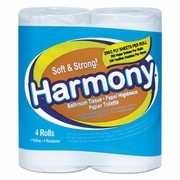 Atlas Paper Mills Harmony Bathroom Tissue Double-embossed bathroom tissue for extra softness. Durable bathroom tissue puts comfort and value at your fingertips. Safe for all septic systems. 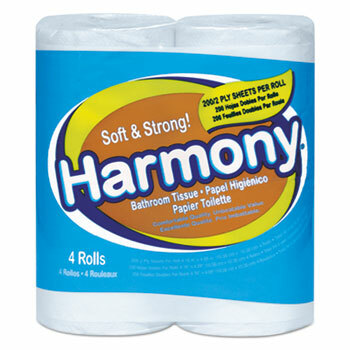 Includes 24 packs of four rolls. 96 rolls.